Simpson Millar's Holiday Illness Claims Solicitors provide a specialist service for victims of food poisoning whose holidays were spoilt by poor hygiene standards at hotels abroad, on-board cruise ships, and whilst travelling on aircraft. With unrivalled experience and an outstanding record, our team comprises of dedicated and qualified holiday lawyers who have worked within the Legal Departments of the UK's major tour operators including Thomson, First Choice, Airtours and Thomas Cook Tour Operations Ltd.
We are confident in our ability to win compensation and so we accept most food poisoning and illness claims on a no win no fee basis. If you have been ill abroad and have been diagnosed with campylobacter, E. coli, cryptosporidium, salmonella or any other type of water or food poisoning, the 1992 Package Travel Regulations and other legislation help unhappy holidaymakers claim compensation! Simpson Millar is a leading national law firm, offering a personal and professional service for those who have suffered sickness abroad through no fault of their own. In 2013 we helped hundreds of holidaymakers who returned to the UK ill claim compensation directly from their tour operator. Illness can be avoided if hotels and their operators adhere to basic food safety standards such as those set out by the World Health Organisation. If you experienced food poisoning whilst on a package holiday abroad, you are legally entitled to claim compensation from your tour operator. Worried about how much it might cost to make a holiday illness claim? 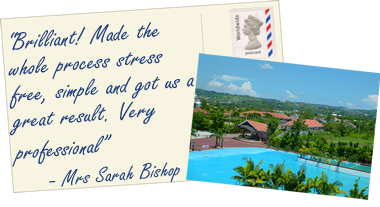 "Most illness on holiday claims we take on are accepted on a no win no fee basis." – Nick Harris: Head of Holiday Claims at Simpson Millar Solicitors LLP. As a national law firm with an immense reputation for maximising compensation you can be assured that we simply don’t turn over case to maintain cash flow.” – Simon Lomax: Holiday Illness Claims Manager. “Our success in holiday claims is evidenced by the fact that we can offer insurance at only £150 plus 9.5% tax payable at the end of the claim. Higher insurance means a higher case abandonment rate! Make sure it not your case – contact Simpson Millar.” – James Blower: Holiday Illness Solicitor. Have you been ill on holiday? 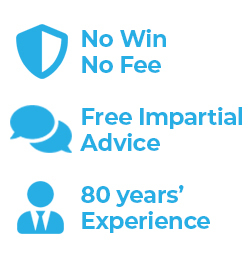 Get in touch for free advice and to find out just how easy it is to make a holiday illness compensation claim.